UNE is an Italian SME located in Reggio Emilia and created in 2011. The company provides services and competences in the field of renewable energy and environmental sustainability. UNE supplies hybrid thermal and PV plants as well as micro-wind turbines. 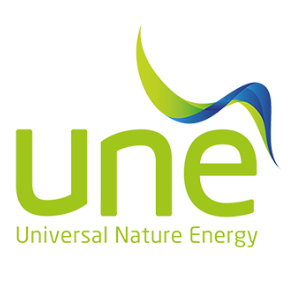 UNE is a high innovative company with strong collaboration with Universities and Research Centres. The main mission since 2013 is the development of an innovative Renewable Energy Storage System (RESS) designed and optimized for residential buildings. UNE will be responsible of the installation of the ZHERO technology for residential users and municipality buildings in the Italian pilot case, including inverter, storage, communication, monitoring and energy management system, development algorithms for the system integration. The device will be improved to allow communication with the master demand response platform. About this activity, UNE will provide the related information for the analysis of current standards and interoperability issues.